The Cargo Box is a multi-purpose storage container made by the Swiss design studio Big-Game. Inspired by the classic form of a toolbox, the PMMA box has the typical wooden handle with which the Cargo Box can flexibly be carried from A to B. 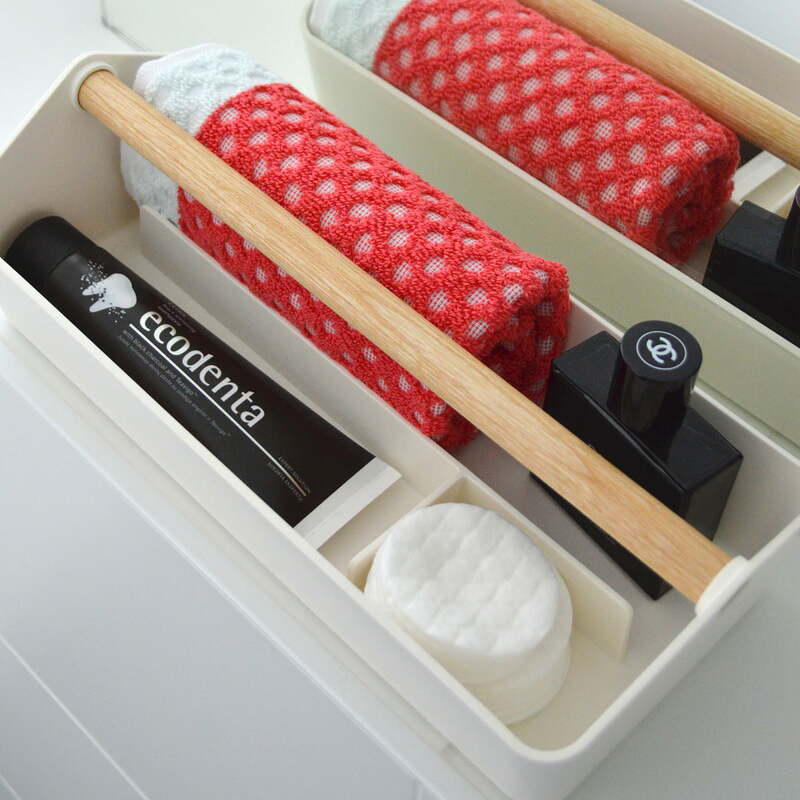 This makes it suitable to be used as a storage box for the desk and as a desk organiser for the office as well as storing cleaning items, sewing utensils, or toys with small parts. The universal design of the Cargo Box has received several awards. These include the Swiss Design Award in 2014 and the Wallpaper Design Award. 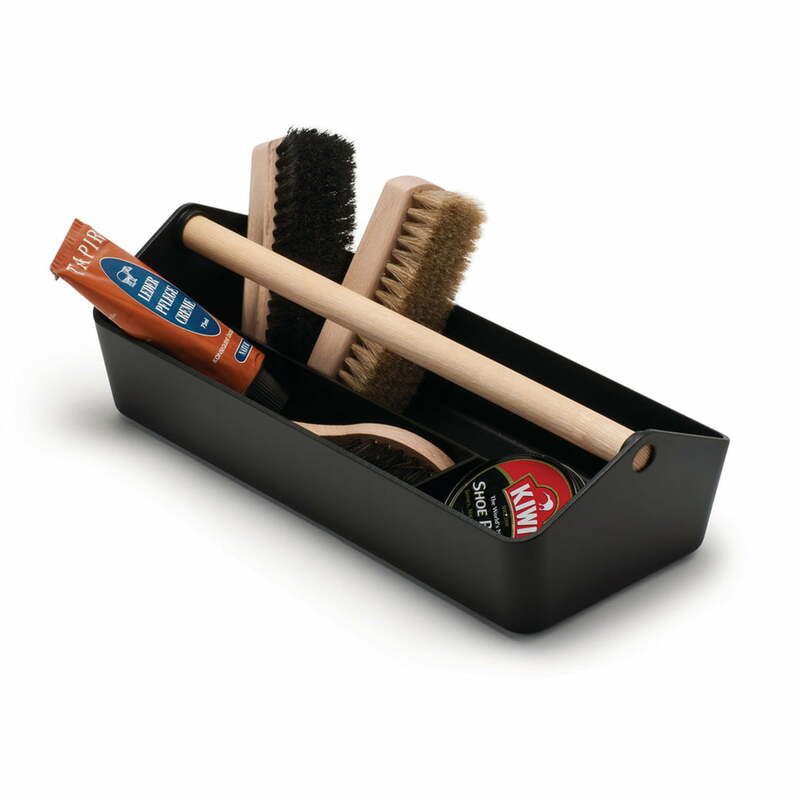 The Cargo Boy Mulit-Purpose Container by Alessi allows to be used for many different purposes. IchDesigner shows here that it perfectly fits in the bathroom.